I first tasted this dip quite a few years back when a friend brought it over to my house. Yummy! I had to have the recipe! Although it’s been quite awhile since I last had it, it recently popped in my head and I had to make it. It’s very creamy (hence the title) as well as crunchy, garlicky, and very fresh tasting. 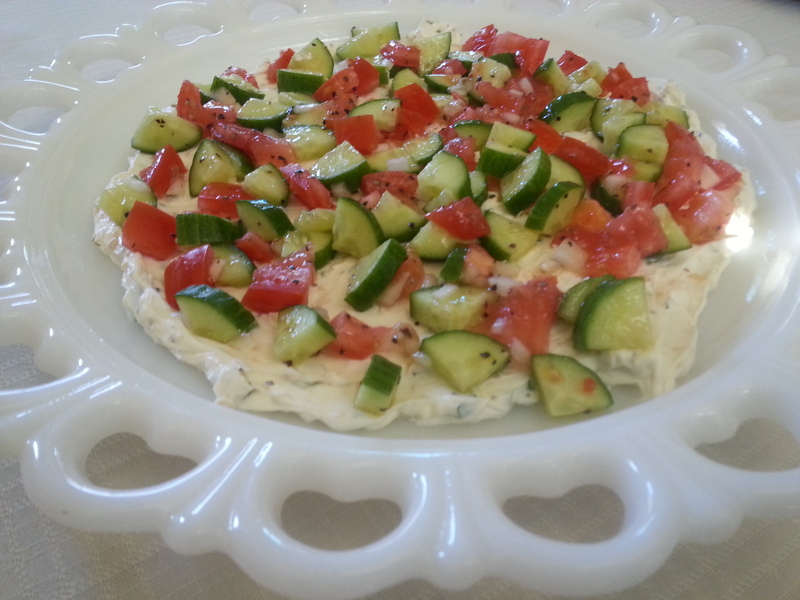 Great summer appetizer, but delicious at any time of year. Well, my parents raved about it when they ate it. And my mom told me I must post it on my blog. I’ve altered the original recipe to fit finicky taste buds and along with that, gave it a new name because what used to be an “Italian” dip, now seems to me to be very much Mediterranean. Here it is!! In a bowl, mix together the cream cheese, garlic, green onions and a pinch each of salt and pepper. Spread onto a plate to form an even layer. 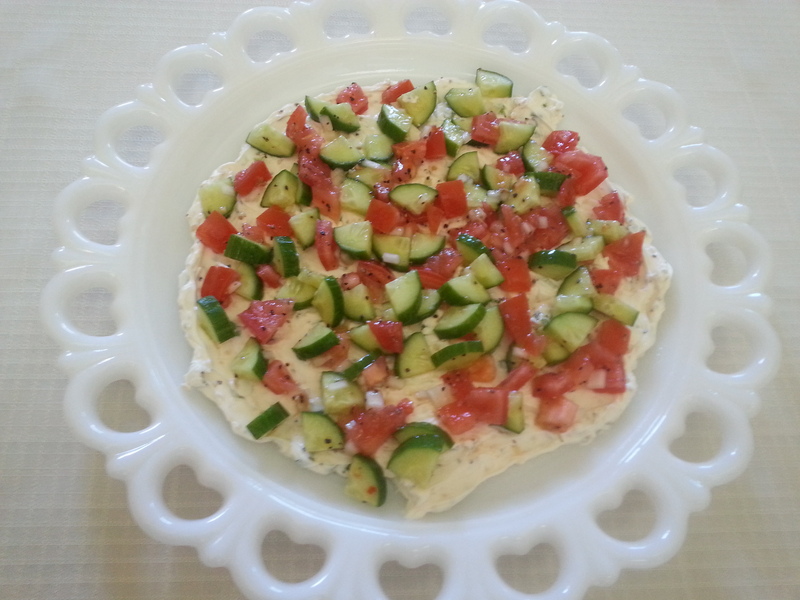 In another bowl, mix together the cucumber, tomato, onion and dressing with a dash of pepper. Spoon over the top of the cream cheese mixture in an even layer. Refrigerate until ready to eat. Serve with crackers or pretzel crisps. P.S. Check out my vintage milk glass platter. This one happens to be my FAVORITE platter EVER. I’ve recently become over the moon for milk glass and am building up a collection. Best part is that these beautiful pieces have been gifted to me by loved ones!